Garry Vacek was born in Sugar Land, Texas and grew up in Bellville, Texas. He received a Bachelor of Business Administration degree from the University of Texas in 1968 and a Doctor of Jurisprudence degree from St. Mary’s University in 1974. 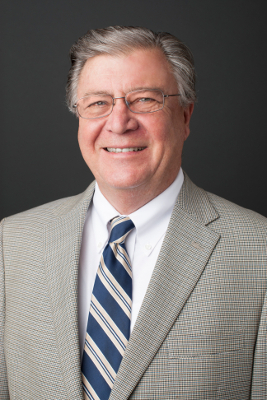 Garry is Board Certified by the Texas Board of Legal Specialization in the area of Estate Planning and Probate Law and is a Certified Public Accountant. Garry is admitted to practice before the U.S. Tax Court. He is a member of the State Bar of Texas, the American Bar Association, the Texas Society of Certified Public Accounts, and the American Institute of Certified Public Accountants. He is a member of the Downtown Austin Rotary Club and Treasurer of the Texas Interscholastic League Foundation. Designing and implementing wealth succession plans including Family Limited Partnerships and Wills including generation-skipping and credit shelter trusts to minimize estate and GST taxes. Determination of choice of entities and formation of corporations, partnerships, limited liability companies and series limited liability companies. Preparation of income tax, estate and gift tax returns for individuals, trusts, estates and other entities. Garry and his wife, Debbie, have three children, Wayne, Angela and Stephen. They are great supporters of UT athletics and enjoy traveling.